Knowledge of the world of organisms too small to be seen with the unaided eye dates back to the times of Leeuwenhoek, the Dutch cloth merchant whose hobby of grinding lenses earned him the title of “The Father of Microscopy.” Even though Leeuwenhoek recorded seeing microbes, he didn’t attribute any significance to them. Their importance was not established until the 1800s, when Pasteur identified the connection between bacteria and disease and firmly established the science of microbiology. Pasteur is often referred to as “The Father of Microbiology” for this reason. Smaller than bacteria, viruses escaped identification until the development of the electron microscope in the first half of the 20th century. The first part of the Microbiology study guide unit is devoted to establishing an understanding of what a living organism is. It then turns to virology, the study of viruses, where it considers their structure, the mechanisms of their reproduction, and their effects on humans. 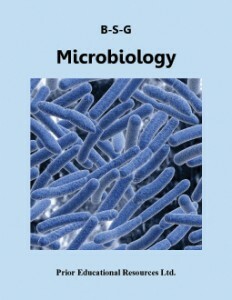 Bacteria, which are indeed living organisms, are the next topic. They are introduced in terms of their unifying characteristics, which provide the basis for their classification. The final segment of this unit contains a glimpse into the modern field of microbiology, including bacteria culturing, human uses of bacteria, and a look at some of their roles in nature. Microbiology is excerpted from our Biology 11 Study Guide, which is the fourth edition of a student study guide written to match the curriculum of British Columbia. The concepts presented are applicable to the biology curricula of other educational jurisdictions as well.